The all-new KTM 450 RALLY REPLICA is based on the factory model that powered its way to the win at Dakar this year. The limited edition bike is ready to race, with increased engine power, a redesigned cylinder head and an improved transmission system, just a handful of the upgrades KTM have added. "The KTM 450 RALLY REPLICA machine is almost identical to those raced by our athletes, and is available for customers to get the opportunity to own and ride a really premium, purpose-developed rally machine with high-quality components and maximum innovation. It’s been truly revised from the ground up, and we are looking forward to seeing these bikes being raced by our customers." The initial production run is limited to just 75, so this really is your chance to get your hands on a one of a kind rally bike. The KTM 450 RALLY REPLICA has been reserved at a price of EUR 26,000 (plus VAT). 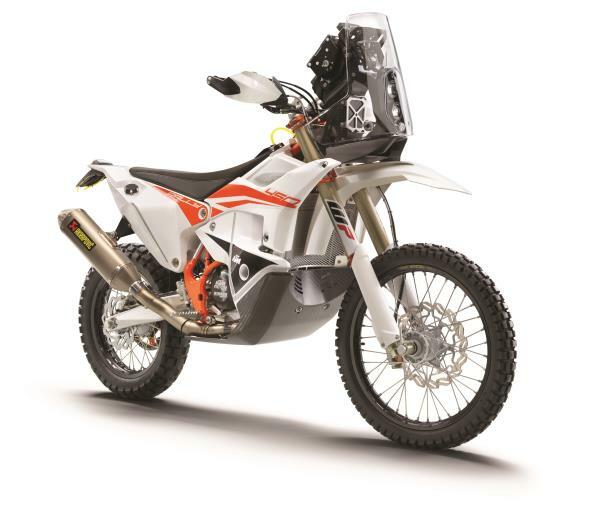 A service and support package is available at the Dakar Rally at an additional cost for all models of KTM rally bikes. For more information, visit our showroom or call our experienced team on +44 (0) 1684 292929.